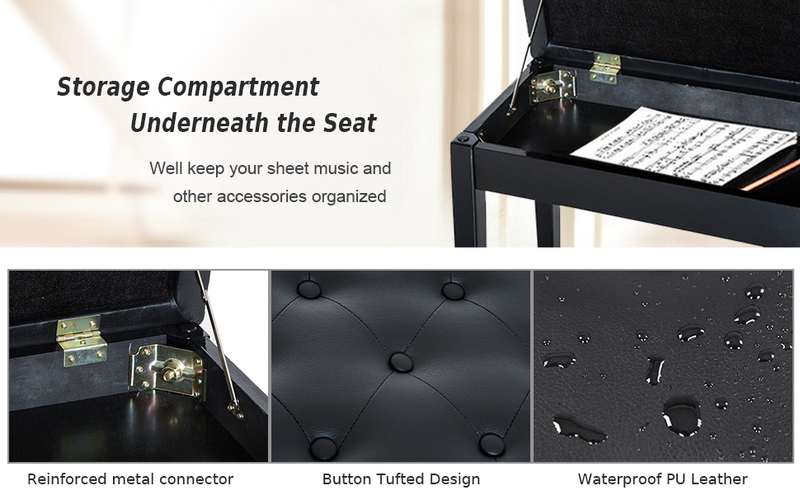 Whether you’re playing a solo or a duet let HomCom’s padded piano bench make your performance comfortable, stylish, and unforgettable. This bench is built on a solid Birchwood frame with sturdy, durable legs, and is topped with a smooth faux leather padded cushion that will allow you to focus all of your attention on tickling the ivories. With a lightweight design, this bench is easy to move, transport, and store, and is perfect to travel with as a professional performance bench. - Overall: 29.9" x 14.2" x 19.7"